From the Soul using the body as an instrument, it does not follow that the Soul must share the body's experiences: a man does not himself feel all the experiences of the tools with which he is working. 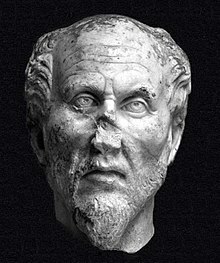 Plotinus [Πλωτῖνος] (c. 204/205–270) was a major philosopher of the ancient world who is widely considered the founder of Neoplatonism (along with his teacher Ammonius Saccas). His metaphysical writings have inspired centuries of Pagan, Christian, Jewish, Islamic and Gnostic metaphysicians and mystics. Beauty is established in multitude when the many is reduced into one, and in this case it communicates itself both to the parts and to the whole. But when a particular one, composed from similar parts, is received it gives itself to the whole, without departing from the sameness and integrity of its nature. The sensitive eye can never be able to survey, the orb of the sun, unless strongly endued with solar fire, and participating largely of the vivid ray. If you accurately distinguish the intelligible objects you will call the beautiful the receptacle of ideas; but the good itself, which is superior, the fountain and principle of the beautiful; or, you may place the first beautiful and the good in the same principle, independent of the beauty which there subsists. It is by participation of species that we call every sensible object beautiful. Thus, since everything void of form is by nature fitted for its reception, as far as it is destitute of reason and form it is base and separate from the divine reason, the great fountain of forms; and whatever is entirely remote from this immortal source is perfectly base and deformed. And such is matter, which by its nature is ever averse from the supervening irradiations of form. Whenever, therefore, form accedes, it conciliates in amicable unity the parts which are about to compose a whole; for being itself one it is not wonderful that the subject of its power should tend to unity, as far as the nature of a compound will admit. Hence beauty is established in multitude when the many is reduced into one, and in this case it communicates itself both to the parts and to the whole. But when a particular one, composed from similar parts, is received it gives itself to the whole, without departing from the sameness and integrity of its nature. Thus at one and the same time it communicates itself to the whole building and its several parts; and at another time confines itself to a single stone, and then the first participation arises from the operations of art, but the second from the formation of nature. And hence body becomes beautiful through the communion supernally proceeding from divinity. It is now time, leaving every object of sense far behind, to contemplate, by a certain ascent, a beauty of a much higher order; a beauty not visible to the corporeal eye, but alone manifest to the brighter eye of the soul, independent of all corporeal aid. However, since, without some previous perception of beauty it is impossible to express by words the beauties of sense, but we must remain in the state of the blind, so neither can we ever speak of the beauty of offices and sciences, and whatever is allied to these, if deprived of their intimate possession. Thus we shall never be able to tell of virtue's brightness, unless by looking inward we perceive the fair countenance of justice and temperance, and are convinced that neither the evening nor morning star are half so beautiful and bright. But it is requisite to perceive objects of this kind by that eye by which the soul beholds such real beauties. Besides it is necessary that whoever perceives this species of beauty, should be seized with much greater delight, and more vehement admiration, than any corporeal beauty can excite; as now embracing beauty real and substantial. Such affections, I say, ought to be excited about true beauty, as admiration and sweet astonishment; desire also and love and a pleasant trepidation. For all souls, as I may say, are affected in this manner about invisible objects, but those the most who have the strongest propensity to their love; as it likewise happens about corporeal beauty; for all equally perceive beautiful corporeal forms, yet all are not equally excited, but lovers in the greatest degree. Perhaps, the good and the beautiful are the same, and must be investigated by one and the same process; and in like manner the base and the evil. And in the first rank we must place the beautiful, and consider it as the same with the good; from which immediately emanates intellect as beautiful. Next to this, we must consider the soul receiving its beauty from intellect, and every inferior beauty deriving its origin from the forming power of the soul, whether conversant in fair actions and offices, or sciences and arts. Lastly, bodies themselves participate of beauty from the soul, which, as something divine, and a portion of the beautiful itself, renders whatever it supervenes and subdues, beautiful as far as its natural capacity will admit. Let us, therefore, re-ascend to the good itself, which every soul desires; and in which it can alone find perfect repose. For if anyone shall become acquainted with this source of beauty he will then know what I say, and after what manner he is beautiful. Indeed, whatever is desirable is a kind of good, since to this desire tends. But they alone pursue true good, who rise to intelligible beauty, and so far only tend to good itself; as far as they lay aside the deformed vestments of matter, with which they become connected in their descent. Just as those who penetrate into the holy retreats of sacred mysteries, are first purified and then divest themselves of their garments, until someone by such a process, having dismissed everything foreign from the God, by himself alone, beholds the solitary principle of the universe, sincere, simple and pure, from which all things depend, and to whose transcendent perfections the eyes of all intelligent natures are directed, as the proper cause of being, life and intelligence. With what ardent love, with what strong desire will he who enjoys this transporting vision be inflamed while vehemently affecting to become one with this supreme beauty! For this it is ordained, that he who does not yet perceive him, yet desires him as good, but he who enjoys the vision is enraptured with his beauty, and is equally filled with admiration and delight. Hence, such a one is agitated with a salutary astonishment; is affected with the highest and truest love; derides vehement affections and inferior loves, and despises the beauty which he once approved. Such, too, is the condition of those who, on perceiving the forms of gods or daemons, no longer esteem the fairest of corporeal forms. What, then, must be the condition of that being, who beholds the beautiful itself? What measures, then, shall we adopt? What machine employ, or what reason consult by means of which we may contemplate this ineffable beauty; a beauty abiding in the most divine sanctuary without ever proceeding from its sacred retreats lest it should be beheld by the profane and vulgar eye? We must enter deep into ourselves, and, leaving behind the objects of corporeal sight, no longer look back after any of the accustomed spectacles of sense. For, it is necessary that whoever beholds this beauty, should withdraw his view from the fairest corporeal forms; and, convinced that these are nothing more than images, vestiges and shadows of beauty, should eagerly soar to the fair original from which they are derived. For he who rushes to these lower beauties, as if grasping realities, when they are only like beautiful images appearing in water, will, doubtless, like him in the fable, by stretching after the shadow, sink into the lake and disappear. For, by thus embracing and adhering to corporeal forms, he is precipitated, not so much in his body as in his soul, into profound and horrid darkness; and thus blind, like those in the infernal regions, converses only with phantoms, deprived of the perception of what is real and true. The sensitive eye can never be able to survey, the orb of the sun, unless strongly endued with solar fire, and participating largely of the vivid ray. Everyone therefore must become divine, and of godlike beauty, before he can gaze upon a god and the beautiful itself. Thus proceeding in the right way of beauty he will first ascend into the region of intellect, contemplating every fair species, the beauty of which he will perceive to be no other than ideas themselves; for all things are beautiful by the supervening irradiations of these, because they are the offspring and essence of intellect. But that which is superior to these is no other than the fountain of good, everywhere widely diffusing around the streams of beauty, and hence in discourse called the beautiful itself because beauty is its immediate offspring. But if you accurately distinguish the intelligible objects you will call the beautiful the receptacle of ideas; but the good itself, which is superior, the fountain and principle of the beautiful; or, you may place the first beautiful and the good in the same principle, independent of the beauty which there subsists. Pleasure and distress, fear and courage, desire and aversion, where have these affections and experiences their seat? As translated by Stephen Mackenna and B. S. Page unless otherwise noted. We may treat of the Soul as in the body — whether it be set above it or actually within it — since the association of the two constitutes the one thing called the living organism, the Animate. Withdraw into yourself and look. And if you do not find yourself beautiful yet, act as does the creator of a statue that is to be made beautiful: he cuts away here, he smoothes there, he makes this line lighter, this other purer. ... Cut away all that is excessive, straighten all that is crooked, bring light to all that is overcast, labor to make all one glow or beauty and never cease chiseling your statue, until there shall shine out on you from it the godlike splendor of virtue. Hence, as Narcissus, by catching at the shadow, plunged himself in the stream and disappeared, so he who is captivated by beautiful bodies, and does not depart from their embrace, is precipitated, not with his body, but with his soul, into a darkness profound and repugnant to intellect (the higher soul), through which, remaining blind both here and in Hades, he associates with shadows. First Ennead, Book VI, as translated by Thomas Taylor, The Eleusinian and Bacchic Mysteries: A Dissertation (1891) pp. 43-44. When the soul has descended into generation (from its first divine condition) she partakes of evil, and is carried a great way into a state the opposite of her first purity and integrity, to be entirely merged in which, is nothing more than to fall into a dark mire. 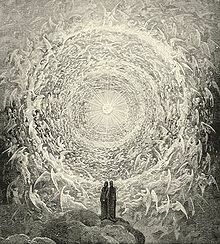 ...The soul dies as much as it is possible for the soul to die: and the death to her is, while baptized or immersed in the present body, to descend into matter, and be wholly subjected by it; and after departing thence to lie there til it shall arise and turn its face away from the abhorrent filth. This is what is meant by falling asleep in Hades, of those who have come there. First Ennead, Book VIII, as translated by Thomas Taylor, The Eleusinian and Bacchic Mysteries: A Dissertation (1891) pp. 38-39. 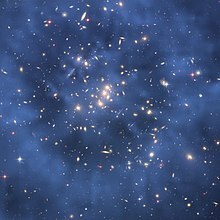 [W]hen they write incantations, and utter them as to the stars, not only to [the bodies and] souls of these, but also to things superior to soul, what do they effect? They answer, charms, allurements, and persuasions, so that the stars hear the words addressed to them, and are drawn down; if any one of us knows how in a more artificial manner to utter these incantations, sounds, aspirations of the voice, and hissings, and such other particulars as in their writings are said to possess a magical power. ...They likewise pretend that they can expel disease. And if, indeed, they say that they effect this by temperance and an orderly mode of life, they speak rightly, and conformably to philosophers. But now when they assert that diseases are daemons, and that they are able to expel these by words, and proclaim that they possess this ability, they may appear to the multitude to be more venerable, who admire the powers of magicians; but they will not persuade intelligent men that diseases have not their causes either from labours, or satiety, or indigence, or putrefaction, and in short from mutations which either have an external or internal origin. This, however, is manifest from the cure of diseases. For disease is deduced downward, so as to pass away externally, either through a flux of the belly, or the operation of medicine. Disease, also, is cured by letting of blood and fasting. ...The disease ...[is] something different from the daemon. ...The manner, however, in which these things are asserted by the Gnostics, and on what account is evident; since for the sake of this, no less than of other things, we have mentioned these daemons. ...And this must every where be considered, that he who pursues our form of philosophy, will, besides all other goods, genuinely exhibit simple and venerable manners, in conjunction with the possession of wisdom, and will not endeavour to become insolent and proud; but will possess confidence accompanied with reason, much security and caution, and great circumspection. There were at least two avenues for originality open to Plotinus, even if it was not his intention to say fundamentally new things. The first was in trying to say what Plato meant on the basis of what he wrote or said or what others reported him to have said. This was the task of exploring the philosophical position that we happen to call "Platonism". The second was in defending Plato against those who, Plotinus thought, had misunderstood him and therefore unfairly criticized him. Plotinus found himself, especially as a teacher, taking up these two avenues. His originality must be sought for by following his path. The three basic principles of Plotinus' metaphysics are called by him "the One" (or, equivalently, "the Good"), Intellect, and Soul (see V 1; V 9.). These principles are both ultimate ontological realities and explanatory principles. Plotinus believed that they were recognized by Plato as such, as well as by the entire subsequent Platonic tradition. The One is the absolutely simple first principle of all. It is both "self-caused" and the cause of being for everything else in the universe. There are, according to Plotinus, various ways of showing the necessity of positing such a principle. Less elusive than Plato's was the supra-rationality of his distant disciple, the Egyptian Plotinus (died 270), creator of Neo-Platonism. With him the supra-rational represented an élan, a reaching beyond the clearly seen or clearly known, to the Spirit itself. He had a disciple Porphyry, like himself a sage—and yet a different sage [whose] supra-rationalities hungered for many things from which his rational nature turned askance. But he has a disciple, Iamblicus by name, whose rational nature... prostitutes itself in the service of unreason. The synthetic genius of Plotinus enabled him to weave into his system valuable elements from Aristotle and the Stoics. But he was above all a Platonist. He presents the spiritual triad: the One, the Mind, the Soul. From the One comes the Mind, that is, the Nous, which embraces the totality of the knowable or intelligible, to wit, the Cosmos of Ideas. From that, come the Soul of the World and the souls of men. Matter, which is no-thing, gains form and partial reality when informed with soul. Plotinus's attitude toward knowledge of the concrete natural or historic fact, displays a transcendental indifference exceeding that of Plato. Perceptible facts with him are but half-real manifestations of the informing spirit. They were quite plastic, malleable, reducible. Moreover, thoughts of the evil of the multiple world of sense held for Plotinus and his followers a bitterness of ethical unreality which Plato was too great an Athenian to feel. 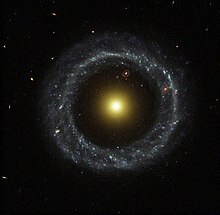 Dualistic ethics which find in matter the principle of unreality or evil, diminish the human interest in physical fact. The ethics of Plotinus consisted in purification and detachment from things of sense. This is asceticism. And Plotinus was an ascetic, not through endeavor, but from contempt. He did not struggle to renounce the world, but despised it with the spontaneity of a sublimated temperament. He seemed like a man ashamed of being in the body, Porphyry says of him. Nor did he wish to cure any contemptible bodily ailments, or wash his wretched body. Plotinus's Absolute, the First or One, might not be grasped by reason. Yet to approach and contemplate it was the best for man. Life's crown was the ecstasy of the supra-rational and supra-intelligible vision of it. This Plotinean irrationality was lofty; but it was too transcendent, too difficult, and too unrelated to the human heart, to satisfy other men. ...his followers would bring it down to the level of their irrational tendencies. ...There was a tendency to contrast the spiritual and real with the manifold of material nonentity, and a cognate tendency to emphasize the opposition between the spiritual and good, and the material and evil, or between opposing spiritual principles. With less metaphysical people such opposition would take more entrancing shapes in the battles of gods and demons. Probably it would cause ascetic repression of the physical passions. ...within the schools of Neo-Platonism, in the generations after Plotinus... these tendencies flourished, beneath the shelter of his elastic principles. Here three kindred currents made a resistless stream: a transcendental, fact-repelling dialectic; unveiled recognition of the supreme virtue of supra-rational convictions and experiences; and an asceticism which condemned matter and abhorred the things of sense. What more was needed to close the faculties of observation, befool the reason, and destroy knowledge in the end? "Thus when Plotinus speaks of "the flight of the alone to the Alone," and the positivist or the empiricist asserts that these words are meaningless, he is right. Yet this does not import that the words are nonsense locutions, mere senseless noises which a makes like a cough or a sneeze though it is possible that this is what the positivist intends. If this were so, it would be impossible to explain why generations of men have quoted those famous words. The explanation is that the words evoke in us a measure of the same experience which the author of them had. Our experience may be but a dim reflection of what was in him bright and clear. Our spirits vibrate faintly in unison with the soul of the great mystic, as a tuning fork vibrates faintly in response to the sound of the clear bell. But it is our own spontaneous experience which is evoked; it is not his experience which is communicated to us. His words are as grappling irons let down into the depths of our subconsciousness, which draw our own inner experiences nearer to the conscious threshold." Stace, W. T. (1952) Time and Eternity, Princeton University Press P. 91. This page was last edited on 5 April 2019, at 16:58.